True wellness is about balancing the needs of the mind, the body and the spirit. Yet it tends to be those who focus most on honoring the needs of the spirit that tend to forget the needs of the body and mind! Similarly, those who neglect their soul needs, tend to find it much easier to focus on either their mind’s or their body’s well-being. If we are to have an optimum experience of life, then we must first address how can we naturally create this balance. Thankfully there is one thing we can focus on that will help in all 3 areas. That is, getting a good night’s sleep! When we get a good night’s sleep, we are essentially giving ourselves a full mind, body, spirit tune-up. The conscious mind gets to actively rest. The subconscious mind has the space to process our thoughts, feelings, and emotions. The body gets to do necessary maintenance and replenish itself. If on the other hand, we ignore our need for deep and healing sleep, then we soon find that we feel out of balance in every area. Our stress levels begin to rise, and we feel more irritable. We over or under, eat. Our performance at work or at home suffers. Our relationships can be negatively impacted. Tapping into our intuitive abilities feels less natural. Giving our creative needs a healthy outlet may fall away. The conscious mind becomes noisier. The body starts to feel sluggish. We might succumb to minor illnesses with more frequency. Following our passion and purpose may become less of a priority. Connecting with our true nature; who we are beyond the physical, isn’t as supported. How can we ensure that we’re consistently getting a good night’s sleep? The health benefits of regular meditation have been very well documented. Meditation calms the mind, reduces stress and improves your mental health. There’s no one way to meditate. It is simply giving yourself time to turn away from the noise of the world and connect with your inner being. For some 30 minutes of sitting in silent meditation may be perfect. For others, a mindful walk in nature may bring them back to balance. Others may find that repeating a mantra or listening to restful music is perfect for them. The main thing is to experiment and find the meditation technique that works best for you. Regular does not have to mean rigid. With our busy modern lives, it’s not always easy to have a sit-down meal at the same time every day. However, it’s definitely possible to prepare meals in advance or choose not to eat after a certain time at night. A meal does not have to be hot or cooked to be nurturing. There are also many ways to shorten the meal preparation process. Buying pre-chopped vegetables or salads, or ordering weekly boxed ingredients can certainly help. Eating healthier also does not require you to become rigid, forego all snacks, or eat flavorless food. It’s more about knowing your particular body’s needs and finding ways to fulfill them using healthier options. For example, baked chicken is healthier than fried chicken. Vegetarian and vegan meals, deliciously prepared, are more popular than ever. Meeting your 5-A-Day requirements has never been easier and supermarkets or local markets stock a plethora of choices. Try experimenting with new options every month. Engage in Regular Physical Exercise. Remember this is all relative. If you never exercise, then choosing to exercise 1-2 days a week is a step in the right direction. Finding an exercise that you enjoy is paramount. Long or brisk walks may be perfect for you. Engaging in group sports can build community as well as leaner thighs! Physical intimacy also counts as exercise. Cycling and running may be your thing. Physical exercise moves energy through and out of the body. It calms the mind. It keeps you flexible and increases self-confidence. This doesn’t have to be a complicated process. If you’re a parent, you know the difference it makes to have a night time routine to prepare the kids for sleep. As an adult, the same benefits apply. It might be getting a glass of water and putting it beside the bed that signals you. You might choose to listen to 30 minutes of an audiobook every night. Mentally reviewing your day and finding 5 things to be grateful for can signal that it’s time for sleep. If you dislike the word routine, change it up! But make sure that whatever action you choose, signals to you that it’s time for the body and mind to rest. Make it easy. Even if you can’t initially incorporate all 5 tips, make a start by utilizing at least 3. There’s no need to put pressure on yourself either. Beating yourself up will only create noisier thoughts and encourage feelings of guilt. That would be counterproductive. Just know that each tip you follow will naturally support you to incorporate the others as you feel more rested. Over time, you’ll feel better, look healthier, and bring more balance to your daily actions and interactions. This, in turn, will calm your mind, nurture your connection to others, improve your body’s health and enliven your spirit. If this article interested you, meet people who can do even more for you right now. From personal to professional well-being, connect with someone who can guide you to a happier, healthier, and whole life. Become a WU Friend today! 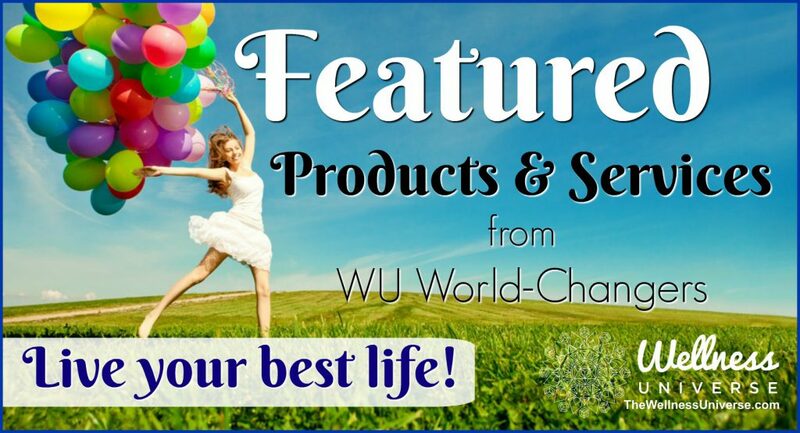 If you provide support or products that make the world a better place and help humanity live in health, happiness, and wholeness, join us as a WU World-Changer! The best retreat of your life! Immerse yourself in YOUR well-being.